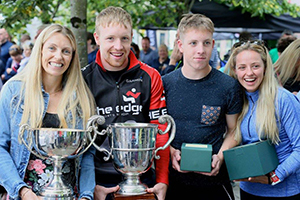 The Vibes & Scribes Lee Swim would not have been relaunched and would not have grown to become the largest open water swim in Ireland without the generous and ongoing support of its title sponsor. Vibes and Scribes has been trading in Cork city for over 20 years. Located at 21 Lavitt’s Quay are two book shops – one which stocks new and special price books, and one which sells second-hand and out of print books, as well as a large selection of comic books and graphic novels. Vibes and Scribes wool, fabric and crafting supplies shop is located at 3 Bridge Street in the city centre. Housed across 3 floors are an enormous range of fabrics and wool, millinery supplies as well as everything you need for a craft project. In 2015, they launched an online shop (www.vibesandscribes.ie) which sells and ships these items across Ireland and worldwide. 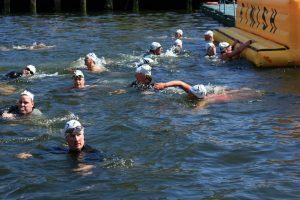 Since the re-introduction of the Vibes & Scribes Lee swim in 2005 Cork Lions club has been involved in the organising and administration of this very successful swim. Over 100,000 Euro has been raised as a result of the fundraising activities of our club and some of the organisations to benefit are the Mercy university hospital children’s ward, Guide dogs for the blind of Ireland, the Samaritans and the Life centre to name a few. 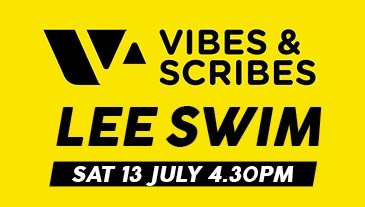 We would like to thank all participants in The Vibes & Scribes Lee swim since 2005 and look forward to many more successful swims. Paschal Horgan. Cork Lions Club.